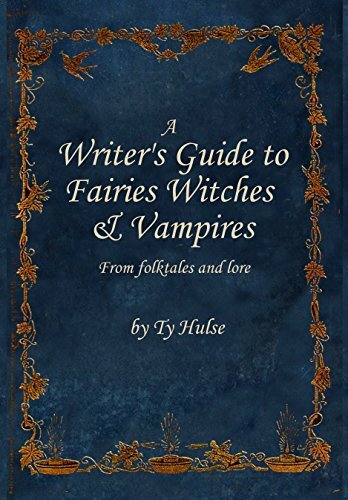 I am creating a comprehensive resource about fairies. Despite the obvious connections between humans and fairies or nature and fairies, one shouldn’t presume that all fairies are connected to these things. Fairies are a complex set of beings, and the reality is that there are many types of fairies, and each type has its own confusing set of quirks. So there are many individual or groups of fairies that are confusing. They are unique creatures which often have no understandable connection to anything else. Certainly, some of these fairies might think nature is beautiful, but that doesn’t make them a nature fairy as they are no more a part of it than any human who thinks nature is beautiful. One could argue that some of the beings we would classify as fairies are more distant from nature in fact than humans are. It is from some of these separate societies of fairies which humans mirrored in order to develop their civilizations. While humans started out living in the wild as a part of nature, fairies were born ancient and wise. So it was that they built their societies. Mythologically, humans then have been trained in the arts, society, farming, and fire making by a long array of gods and fairies in a variety of different myths. One perhaps could make the argument that humans are attempting to immolate fairy societies. Such imitation does give us some bases for understanding these societies; however, we do not imitate all fairy societies nor every aspect of every society. The Huldra or Vitra hollow women with no backs from Scandinavia live in an underground world of cities most of the time, yet they do come up to graze their own cattle much as humans would. Although seemingly very distinct from humans, these beings do seem to take an odd interest in us, always trying to lure humans underground with them. (Keightley, 1870) When a human male fails to satisfy them, the Huldra kill him. Outside of the excess violence exhibited by the Huldra, this interest is likely similar to a human’s interest in beautiful fairies in many cases. Yet in other cases, the fairies’ interest seems to be simply a desire for diversion, power, or a slave. To the immortal fairy humans can be simply a potential draft animal to exploit. Just as the Huldra seek out men, the Leshey will also often carry away mortal women to be their wives after which they hold noisy weddings that are so wild as to cause violent storms that destroy cottages, uproot and knock over trees. Indeed their celebrations are so wild that whirlwinds are believed to be Leshey after they get married. Leshey in this sense seem to be live almost as a stereotypical bachelor, gambling with each other in the wild, and seeking out beautiful women to exploit. The relation between Huldra or Leshey and humans indicates that despite being separate species there is still some relation between us. The fact that humans live like some fairies do is the cause of many of our encounters with them. Many of these encounters involve fairies stealing from humans just as humans try to steal from fairies. When a man in Zealand was being robbed, he determined that it must be the troll folk doing it so he hid and waited. Soon enough, he spotted one of the trolls carrying his tile stove on his head. He then scared the fairy away and recovered his stove. Such theft is not a one-way street; it is common for humans to attempt to steal from fairies. In one story, a man encounters a leprechaun and when facing with the magical otherworld the first thing he thinks is that he might be able to steal the leprechaun’s gold so he captures him and demands that the fairy take him to the treasure he presumably earned for making shoes. Two things should be clear from these two stories. The first is that humans and fairies have things that the other desires because at least in some cases humans and fairies have recognizable cultural and physical elements. Second this shows that fairies are not invincible powers. Humans can scare them away the same as they would be able to scare us away. Humans are perhaps a mirror world of the fairy. Perkiss struck on a similar idea in her book most especially as it relates to nymphs. Perkiss points out that nymphs are beings who have a beginning to their story and nothing more because they are like babies that never grew up. Certainly, they can create what would on the outside appear to be a paradise acting much as a housewife with a hearth, weaving, and the creation of wonderful meals as happened to Odysseus. However, nymphs themselves are still childlike beings that don’t try to achieve. Despite all their great powers they choose to rest and play. They are essentially Peter Pan without a pirate to fight. So whimsical they can appear to be cruel but not malicious exactly because they are not mature enough to be truly malicious. They do not seek love but instead seek to play house. One could argue then that they are kidnapping the heroes of mythology simply to play tea with them. Their whimsical nature presents a serious danger to humans as they may take teasing too far, tickling humans to death as the Rusalka do or drowning them as they did Hercules’s assistant. Satyrs are too little boys what nymphs are too little girls, ugly, undesirable beings which chase and scare the nymphs and can never stop playing. Although what they are afterwards is ultimately more and far worse than childhood boys, but the same is true of nymphs which will often leave those they play with dead. It’s interesting to note that there is some relation between humans and certain nymphs and potentially satyrs as well. Yet unlike them, humans seem to mature. It may be that humans are those who began to strive for something else, something more. This striving for something more could then be what makes us useful to deities and fairies, but it could also be that which scares them. This maturity is not to say that humans are more advanced, however, as our role may be more like that of rebellious teenagers who actually never grow up. Perhaps the nymphs understand the futility of running around and acting grown up. Perhaps to the nymphs, which are immortal, they think of humans as immature. After all, what is it we run around to achieve over immortality and eternal bliss? What is the purpose for humans to seek glory, fame, and riches? When nymphs and many other fairy beings live in bliss, what more could they want? Perhaps this is why nymphs and other fairies fear us because we are trying to achieve some confusing goal, a goal that doesn’t actually matter in the long run. Humans are like the person who runs away and suffers many hardships to become famous only to discover that this fame makes them all the more depressed. Perhaps fairies then are humans that have truly grown up; humans who have managed to live for hundreds of years and have gained true wisdom.